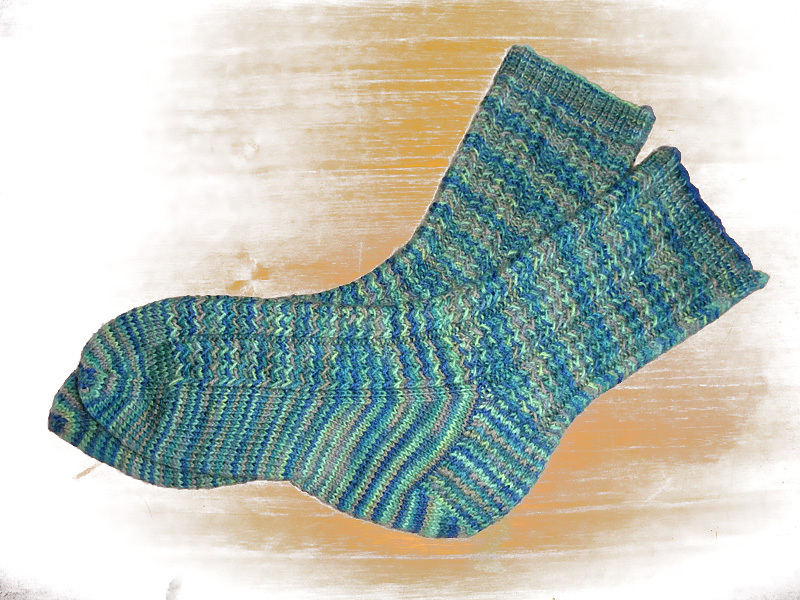 I was making the Herringbone Rib socks for Mr L – he loved the colour of the yarn and asked for socks. 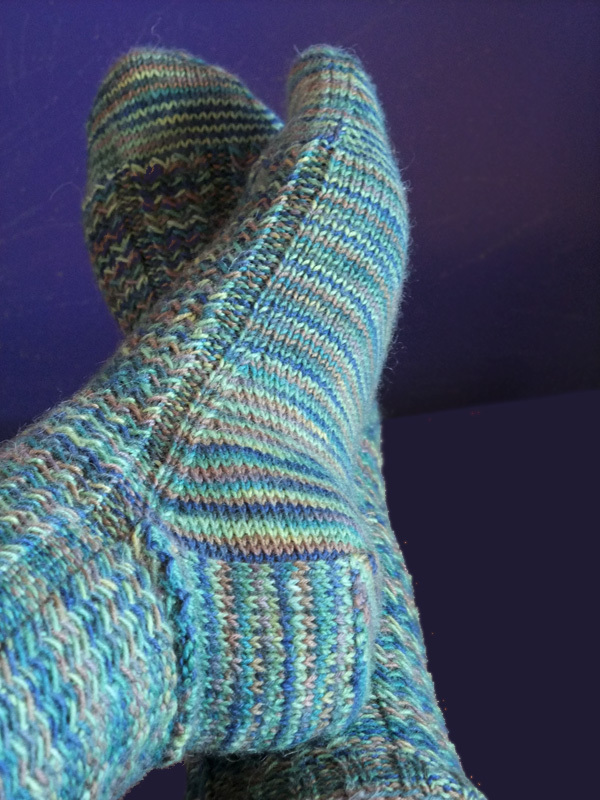 Luckily for me, the Herringbone Rib is not very stretchy. These socks would not go over his ankles. It was love/hate all the way with these socks. 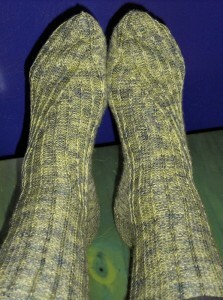 A real chore to knit, but worth it in the end because they do look so very good. All the same, there will not be a second pair. Far Too Slow! 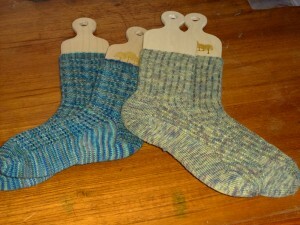 I really wanted these socks for myself — I loved the yarn. As it happens, at my gauge, they were always going to be too long for me by the time the foot pattern was completed. Mr L appears very pleased with them, however. He is certainly a bit of a Toddy fan.